It’s hard to believe that Friday will be day #1 of the 2018 T-Bones season. What lies ahead and what will be like our #4 moment for 2017? That script has not been written as of yet, but it will certainly come out of the group working in spring training today. Maybe part of the script is not even here yet? That makes this year’s drama so much fun. Remember, this list includes the moments that stood out to me and is a matter of opinion from my seat. I am willing to bet your list may be totally different from mine, or you might agree. Regardless, hopefully it will jog your memory, and, most of all, get you ready for the great 2018 season ahead. I tried to avoid crushing losses (except when memorable) as they are parts of the twists and turns of a season. If someone was to ask me about the past season, these moments would have been what I would include if I were forced to write a book on the topic. Part of life in the American Association is that players come and go. Fans have to learn to live with that. There are many reasons why players in baseball, particularly in the minor leagues, come and go. At the independent level, there is performance: sometimes it is the lack of positive performance. Other times players retire. There are, of course, injuries tossed in the mix that result in a departure. The trades also play a part, which sometimes has to do with performance. There is also the chance that a Major League organization will come calling, and with that one call, it can shake up a roster that is headed in one direction or put it at a crossroads. They are all good reasons, and there was no other reason that threatened to derail the 2017 season like the call to affiliated ball. I mentioned that the team had Zach Walters on a torrid pace early. His departure ranks as a key point in 2017 and was a test that the club passed. The club would go on to post the second best record in franchise history. It was a similar story for the pitching staff. The record-setting pen was able to stay intact most of the season, and the rotation had a solid #1 that seemed to set the pace for the rest of the staff. Scott Carroll was the clear #1. He was also a class act as that #1 spot. His numbers speak for themselves (8-3, 2.94, 98IP), but where his impact was most felt was in terms of what he meant to the team. In several games he served as the fill-in pitching coach, which meant there was an extra coach on the field. 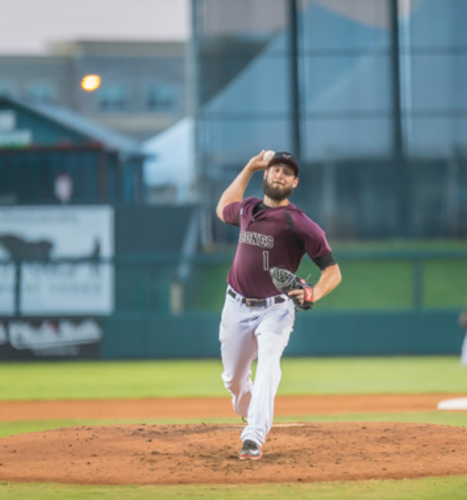 Every fifth day, Carroll took the pill, climbed the hill, and gave the T-Bones a shot at win, either starting a winning streak or continuing another. After a loss on May 23rd to Gary— where he gave up five runs but only two earned—he then went out to toss quality starts in three of the next four, helping the team fight it’s way to .500. His seven strong against Wichita at Kansas City put the club back ahead of .500. It was a task the club wrestled with early, but that night Carroll helped keep Wichita in check, and the team would never again go below .500. The season rolled along, and by the time Kansas City reached August 13th, they had built on that record, reaching a season high 15 above on August 13th. This club was poised to make a long post-season run. 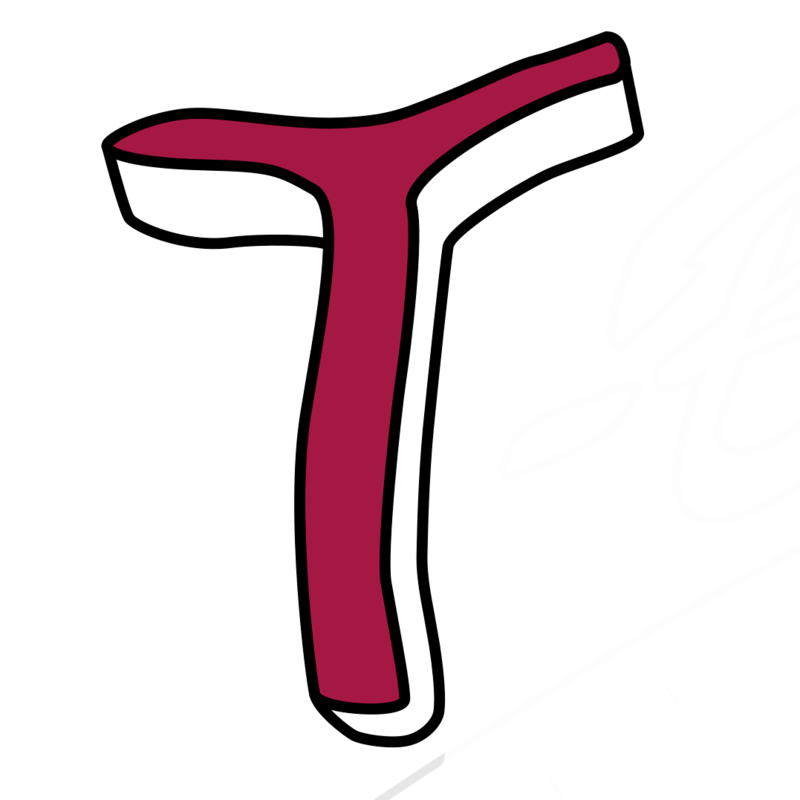 With the type of numbers that by now had become commonplace, the T-Bones, behind Carroll, were threatening play-off prospects. Carroll had given up six earned runs in his last four starts. In his final 29 innings, he would win three out of four starts, tossing all quality starts and adding 22 strike outs. His last turn to the hill at Fargo on August 9th, the league saw what the T-Bones had hoped would be their recipe when the bats were quiet. 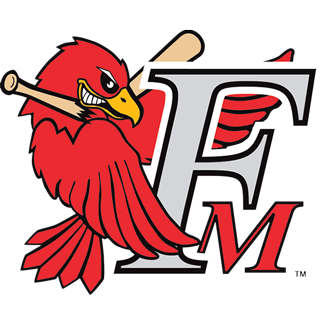 The team made four runs hold up on the road as Carrol allowed five hits in seven innings and two runs with one earned run in a 4-3 win over the RedHawks. A day after the team hit the 15 game above mark on August 14th, the contract of the leader and heart and soul of the club, Scott Carroll, was purchased by the Chicago Cubs. This guy deserved the shot and had done all he had been asked. He was a leader, and the team seemed to rally around him. But at the same time the feeling was that this team could be poised to win it all. A long run was in sight for the post season and a chance to end the playoff draught that was in its seventh season. It was bittersweet for everyone—his teammates, manager, front office and fandom— everyone knew this was a great thing for Scott Carroll. We had discussed time and time again that Joe Calfapietra, Chris Browne and John and Adam Ehlert all believed in helping guys get back to their chance at the Big Leagues. This was Scott Carroll’s chance. I remember hearing from his parents a day or two later that he was still pulling for the T-Bones and knew they could still fight on. His teammates all knew he had their backs, and most off all, the great game had his back. It was a life lesson: do what is right and you will be rewarded. Scott Carrol was that example in life, and not a soul held his chance against him. The team would fight on and pass the test. Joe Calfapietra worked the phones and the trade wire to keep the rotation strong and deep for a later season and hopefully a post-season run. The team felt a punch to the gut, losing the next five after Carrol left and six of seven. The team would right the ship and close it all out, going 10-4 the rest of the way. But despite the impressive 57-43 record, it would not be enough for the post season, but it was enough to secure the second most wins in franchise history. I said it then and will say it years from now, that season for Carroll will only make the T-Bones better down the road. That experience and reward will bring more players like him down the road. They will find their careers reborn and the franchise will climb to new heights at the same time. Players will continue to come and go, that will never change, but it’s not often that players like Scott Carroll come and go who actually leave the franchise in a better place. He was one of those!